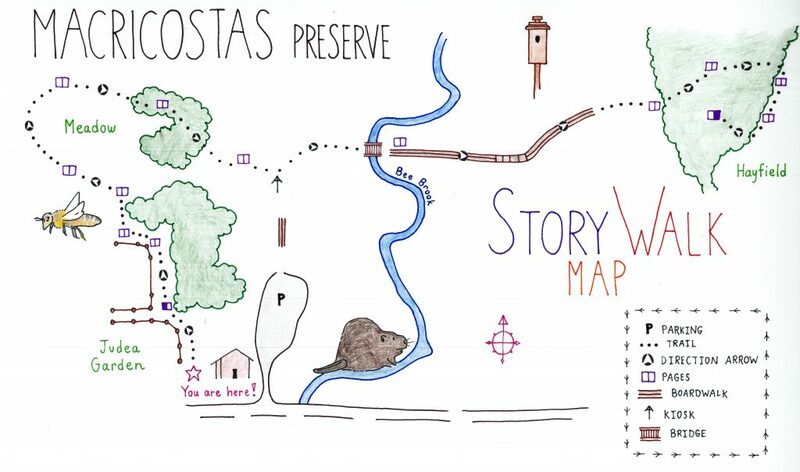 Macricostas Preserve has a StoryWalk! 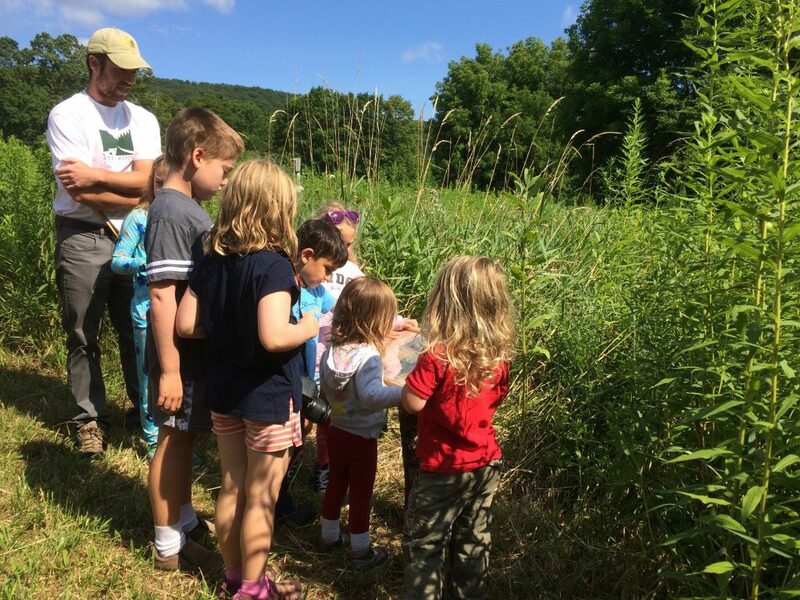 This community collaboration between Steep Rock Association, Gunn Memorial Library, and Washington Supply offers a fun and educational outdoor activity for families. 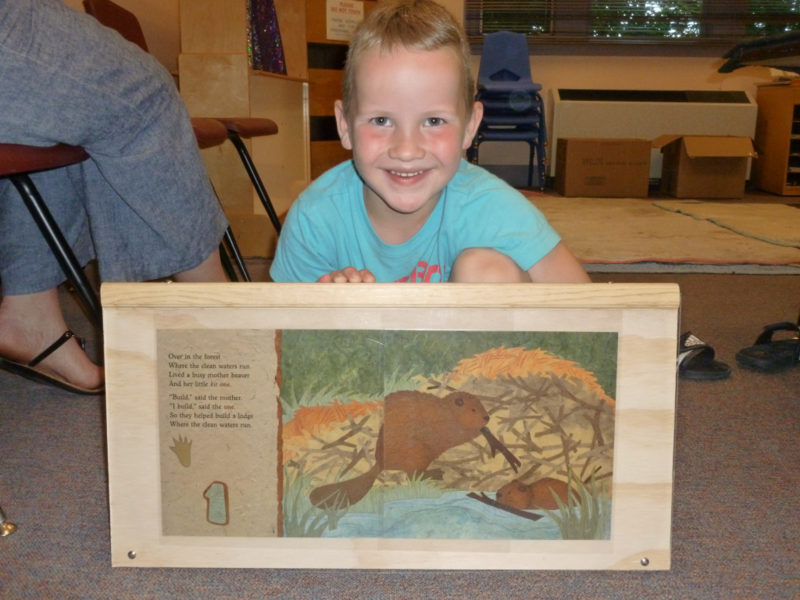 Pages from nature-focused children books are posted on display boards along a short, designated trail. Books are changed seasonally so be sure to visit each new season. Washington Supply donated material for display boards and Gunn Memorial Library hosted a workshop for their construction. StoryWalk in action during a program! The StoryWalk® Project was created by Anne Ferguson of Montpelier, VT and developed in collaboration with the Kellogg-Hubbard Library.